Sudden burst of century-old pipe flooded neighborhood, and city officials say such breaks are hard to predict and prevent. 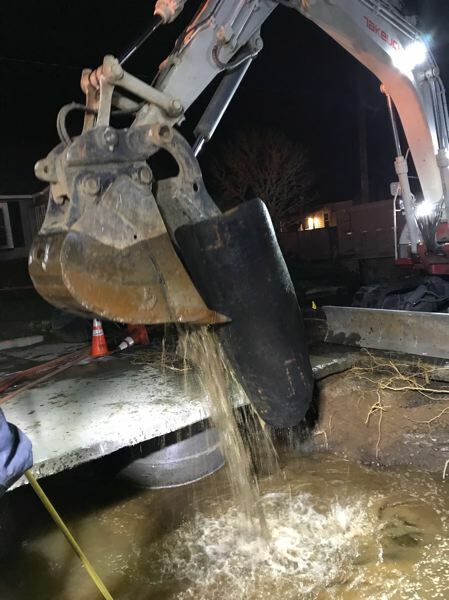 The cast iron water main that ruptured spectacularly in Northeast Portland on Saturday was more than 100 years old. Despite that, Portland Water Bureau officials could not predict the failure. 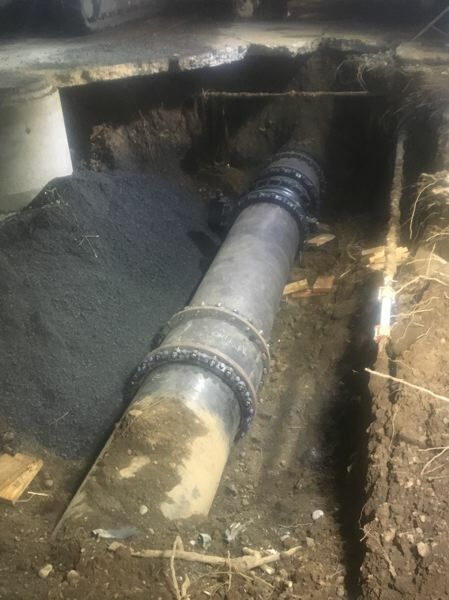 The 30-inch diameter pipe was buried under a quiet, narrow residential street with no obvious risk factors, like the weight of a TriMet bus line on the street. Nor were there any apparent leaks before millions of gallons of water suddenly burst through the pavement and flooded the neighborhood. "Age isn't necessarily an indicator of condition. The rest of the main was in otherwise good shape," said Water Bureau Maintenance and Construction Director Ty Kovatch. According to Kovatch, recent utility work in the area could have disturbed the soil where the pipe had rested since 1915. That, combined with this winter's freezes and thaws, could have contributed to the break. But there is no way to know for sure. About 36 hours after the failure, the broken section of the pipe had been pulled from the street and was lying against the curb. A four-foot by two-foot hole in the pipe demonstrated the power of the water that broke it. 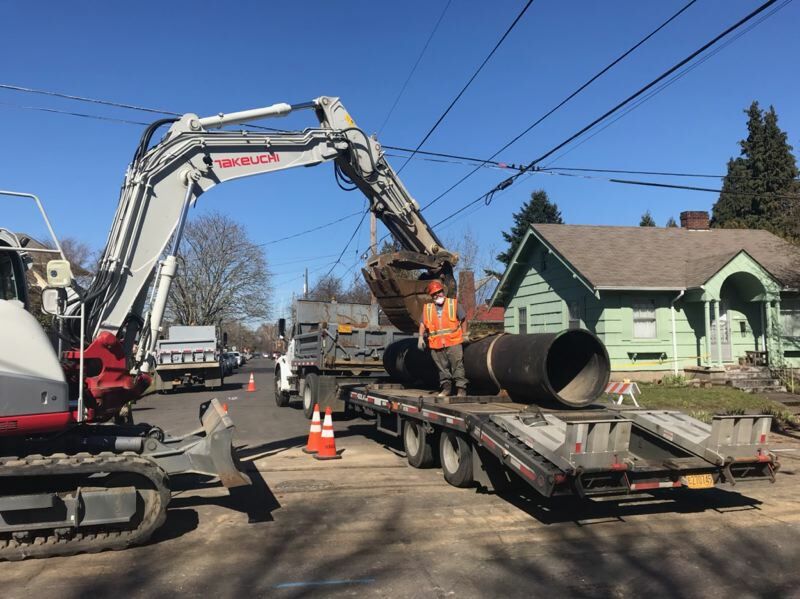 The replacement pipe that arrived Sunday afternoon already had been secured in place, setting the stage for the Portland Bureau of Transportation to begin rebuilding and paving the heavily damaged section of Northeast Skidmore Street between 23rd and 24th avenues. That work could take two weeks. 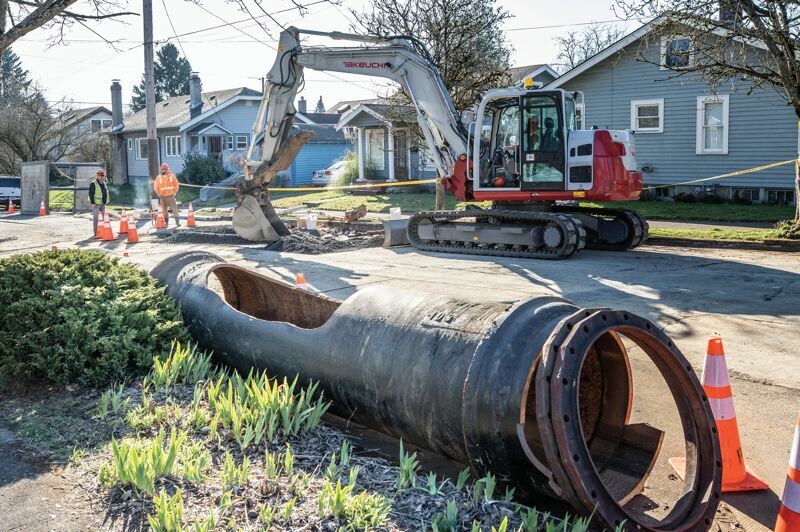 More than 2,260 miles of water pipes run through Portland, most under city streets, where they are hard to reach and expensive to repair. They are valued at more than $10 billion. Replacing all of them that reach a certain age would be prohibitively expensive, requiring an unacceptable increase in water rates, officials say. Although the pipe that broke was one of the oldest in the distribution system, it is not alone. The oldest date back to 1895. More than half are more than 50 years old. And many others are in locations where future breaks seem more likely, like under train lines, frequent bus lines and near the many major construction projects underway in many parts of the city. The water bureau adopted a formal Asset Management Plan in 2004 to help prioritize all of its maintenance and replacement projects. But the goal is to spend maintenance and repair funds as efficiently as possible, not to predict and prevent every breakdown, which is impossible. Around 200 mains break and are fixed each year, typically from fall through spring. Breaks in a 30-inch main are highly unusual. "This was a very rare event and the largest main break we've dealt with," Kovatch said. "Thank you to everyone who was affected for their patience as our crews conducted repair work." Pipes like water mains are prioritized as "consequential pipes." But many are considered at greater risk than the one that broke, including "pipes crossing under high-traffic roads and major railroad lines, pipes on bridges that cross major roads and railroad lines or water bodies, pipes that provide connections to critical customers, vulnerable or deteriorated conduit sections, pipes in areas with high potential for landslides." Although the break damaged some nearby homes, some previous floods have been more serious. For example, in 1985, the failure of a pipe on a bridge owned by a railroad scoured away a significant portion of the adjacent slope along Willamette Boulevard. And in 2010, a pipe crossing McLoughlin Boulevard failed, causing major traffic disruptions. Both had costs exceeding $1 million. That is not much consolation for the Northeast Portland residents whose property was damaged or destroyed by the break, however. Some may file claims against the city to recover their losses. Margaret Kennedy's house was right in the middle of Saturday's raging torrent of water. She spent much of Sunday cleaning up debris, mostly her neighbor's landscaping rocks that and were pushed into her yard. "Oh my god, it looked like Old Faithful up the street," Kennedy said. "And then it looked like a waterfall coming down." KOIN News 6 is a news partner of the Portland Tribune and contributed to the story.